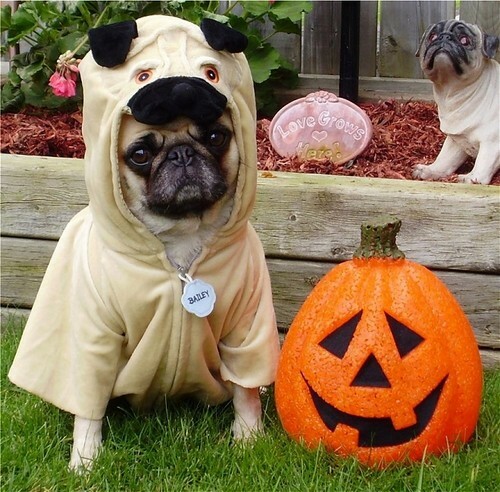 Cute Halloween Pug Costume. Pug Costume 'Pugception'. Wallpaper and background images in the Halloween club tagged: pug costume halloween pumpkin cute funny pets dog holiday pug costume.